Poster: Affected by cervical cancer? 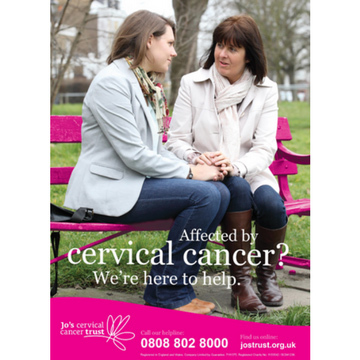 An A4 branded poster aimed at women affected by cervical cancer that signposts to our Helpline. Available to download or order a printed poster. If you need help with your order or have any queries about our online shop including delivery then please give us a call.